A major food trend that has been growing over the years in the US is Asian cuisine. A report by CCTV America on restaurant growth in the U.S. in 2015, estimates that there are more than 40,000 Chinese restaurants in the U.S. now. Moreover, Asian restaurants are expected to grow even more in the future. Below are a few reasons why this area of the industry is growing. According to research done by restaurant-research firm Technomic, “Sales at Asian fast food restaurants have grown by 135% since 1999, well outpacing the growth seen in any other segment.” Asian restaurants made the most profit compared to other cuisines in the fast food industry. While smaller Asian restaurants are growing, Asian fast food chain restaurants are also doing incredibly well. Panda Express made an impressive $1.4 billion in sales revenue in 2010 according to Technomic. They even have plans of expanding their locations up to 2,300 nationwide by 2015. Asian food restaurants have certainly found success in the fast food industry. According to Nielsen’s 2015 Global Health & Wellness Survey that polled over 30,000 individuals online, 88% of diners are willing to spend more money on healthier foods. Asian-style cooking offers many healthy options for business owners to promote to health-conscious eaters. According to the Cleveland Clinic, common ingredients found in Asian food such as Lemongrass and Chili sauces provide important nutrients. Lemongrass, a key ingredient in Thai cuisine, has a great source of iron and potassium. Chili sauce is a high source of Vitamin A and E. Ground chilies can also lower your inflammation and boost your immunity. Small business owners can emphasis these benefits to gain more customers. 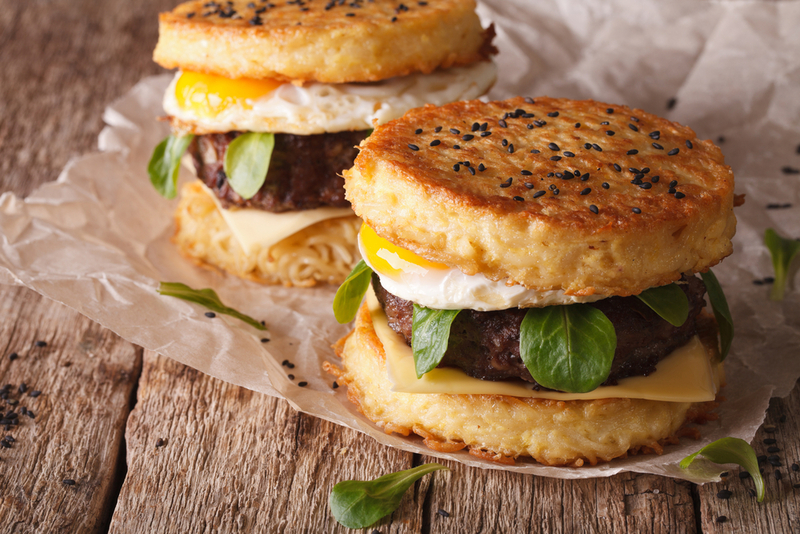 Culinary mashups have been creating buzz in the food world lately. In order to stand out from other Asian restaurants, you have to think outside the box. Chef Keizo Shimamoto had success with his creative restaurant concept when he founded Ramen Burger in 2013 at a Brooklyn food festival. The creation became an instant hit. Ever since, there have been many copycat Ramen Burgers hoping to profit off of Shimamoto’s success. So much so that, popular chain restaurant Red Robin offers a Ramen Burger nationwide for a limited time. Other Asian fusion food items such as Korean Tacos and Sushi Burritos are among a few options that have been successful with Asian fusion trend. Asian fusion foods have become a strong opportunity for restaurants to capitalize on the popularity of Asian cuisines. Want to learn more tips to help your restaurant stand out and get discovered? Check out SinglePlatform on Twitter, Instagram, and Facebook.